Kindergarten is free with temple membership! It is the general policy of Temple Sinai that students may attend our school only if their families are members of the congregation. The only exception is the “My Family & Me” program, which is open to non-members. Financial aid is available in cases of need to cover tuition fees. 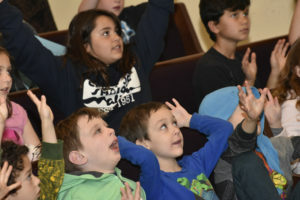 This is handled through the dues adjustment committee of the Temple Sinai Board so that your total financial obligations – dues, fees, and all applicable school fees – are considered together in determining a workable arrangement. Please don’t let financial considerations deprive your children of Jewish education. High school students whose families are members of Temple Sinai may apply for scholarship funds for study in Israel. Contact the Director of Education to apply for Israel scholarships. 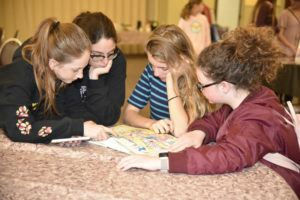 Additionally, our Sisterhood provides camperships to help students attend Jewish summer camps. Contact Sisterhood to learn how to apply for these awards.